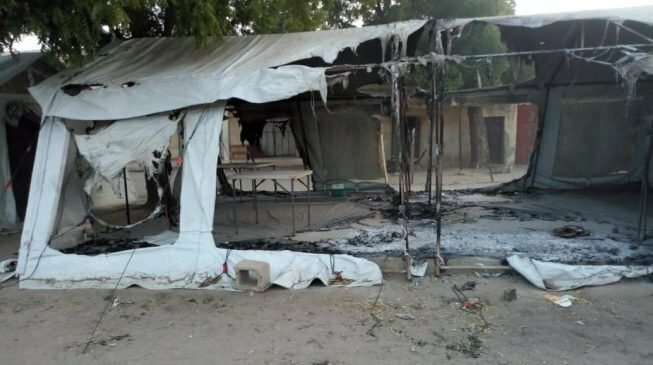 Sources within the local government area told TheCable that the Nigerian army repelled the insurgents after a fierce gun battle. Mijin Yawa, a resident of Kalabalge who also confirmed the attack, said the insurgents stormed the town with various calibre of weapons, anti-air craft guns and mounted trucks. “There may be a lot of casualties but from what i am hearing, the soldiers have repelled the attack and are dealinh with the terrorist,” Yawa said. Another source said the whole Rann was thrown into confusion as many resident scampered to safety in the bush. Calls from TheCable to Sani Usman, the army spokesman, did not get through and his text messages were not returned.